May God bless the soul of Mary and all those who participated in killing it. The last remark about inbreeding southerners was totally uncalled for. I live near Tennessee and not all people(whether it be north or south) there is good and bad in all. This story breaks my heart and wouldn’t have happened if they had a trained handler. Also remember all of these animals where being mistreated. It’s just appalling to thing not only animals are mistreated but also humans by the colour of there skin or sometimes even because of their intelligence. God has a judgement day coming. I lived just outside of Erwin, TN in Elizabethton. The comment about inbred hicks really wasn’t that uncalled for. For crying out loud, the public outcry against an animal abused by unqualified handlers led there to be a petition to crush mary “slowly between two railcars” to feed their bloodlust for what was ultimately the fault of mishandlings by the circus ringleader. (Mary’s handler being unqualified, and one day on the job, and the poor health of the elephant(abscess) that lead to her pain reaction that killed the handler. I’m not sure where outside of TN you live, but i’m here to tell you by experience that Erwin, Gray, Elizabethton, Hampton…. that area is indeed rampant with ignorance, inbreeding, an unhealthy but not rampant amount of racism… The guy is right on the money, at least for that armpit area of TN. What do you expect from ignorant, hick, racist, in-bred southerners. Shocking and sad. But you got to remember that it was 1916 nearly 98 years ago when veterinarian science was still in the early stages and who would of known that Big Mary was suffering from a bad tooth? The idiot under trainer (who lacked serious training in dealing with elephants who where Ill) struck Big Mary in the mouth where the impacted tooth was located and caused her to go on a rampage killing the idiot under trainer and causing chaos in the circus. And the people who tried to put her down were using small caliber firearms and rifles that could take down small game but cannot take down a elephant. 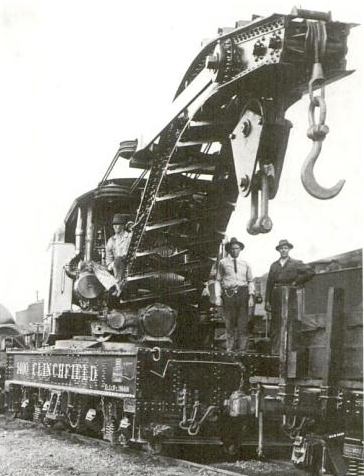 So they got a huge wrecking crane from the Clinchfield Railroad to do the dirty deed. During the autopsy they discovered that Big Mary did had a impacted tooth where the under trainer hit causing her to go mad. I just read this for the second time, and it’s still horrible. 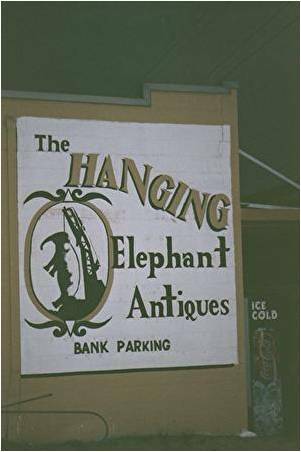 I know they electrocuted an elephant named Topsy for murder but I didn’t know they hung one. 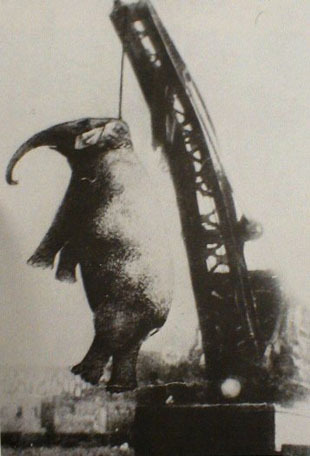 Definately the fuckheads who killed animals or blacks like this or through lynchings deserved to be cut up slowly with axes.the useless waste of air especially the thing operating the crane. This makes me ashamed to be human. I hope Sparks is burning in hell.